“Brooklyn” is a small, intimate tale about immigration. There’s nothing particularly flashy about it. 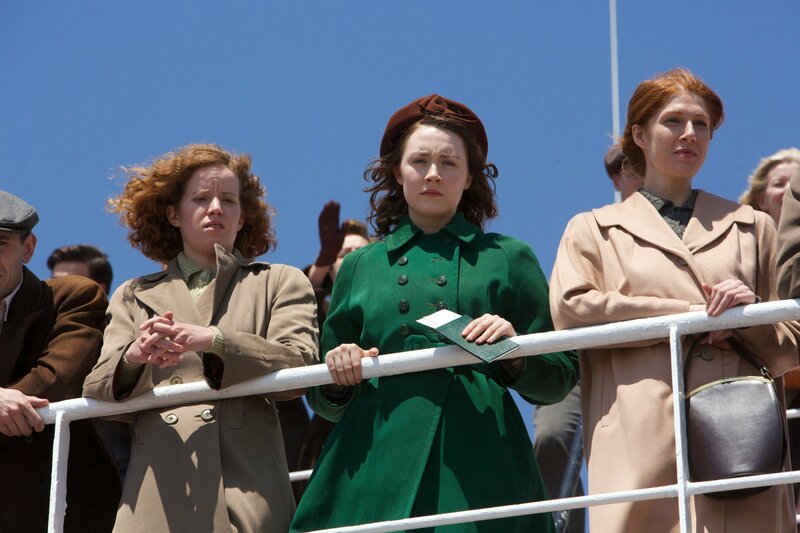 Its success is firmly rooted in a good central performance from its star Saoirse Ronan. Recently nominated for a Best Picture Oscar, one can easily see the older Academy members most likely going gaga for it while those under the age of 40 might find it slightly “old-fashioned” but in the classiest way possible. There’s nothing really wrong with “Brooklyn,” it was actually quite enjoyable, but the words I would use to describe it would be “cute,” “charming,” and “safe.” There are way more challenging, exciting, and original films out there to be sure, though “Brooklyn” is only trying to tell a simple story in a simple way and offers what appears to be a pretty accurate account of the European immigrant experience in the first half of the 20th century. It also sort of feels like the type of movie that will be shown in American high school history classes for years to come. Did I mention the film is actually a love story? In a way “Brooklyn” feels like it could have easily been just another Nicholas Sparks melodrama about two people from different cultures falling in love. In the hands of writer Nick Hornby (who adapted Colm Toibin’s novel) there’s a tad more gravitas to the proceedings. Ronan plays Eilis a young woman working at a general store in 1950s Ireland. Her sister Rose (Fiona Glascott) makes arrangements for Eilis to go to the United States in hopes of a better life. Rose plans on staying in Ireland to take care of their aging widowed mother. Eilis has to quickly adjust to living in America and soon falls for an Italian guy named Tony (Emory Cohen). Complications arise when she’s called back to Ireland and must make the most important decision of her life: stay Ireland or stay in America? As a Best Picture nominee the film sort of lacks the “wow” factor these types of movies usually have; unless you’re of the older generation. Most older people living in the US who immigrated here all those years ago can easily relate to Eilis’ story. But you don’t have to be a foreigner to relate to a story about feeling alone or different or out of place. It’s universal. The film is directed quietly and unobtrusively by John Crowley who gives the film a sort of understated and simple look. The real draw here is Ronan, whose charisma and internal conflict really carry the film. Her romance with Cohen’s character really works as the two actors have a natural chemistry. The audience falls for Tony as quickly as Eilis does. Some will surely relate to scenes of her meeting Tony’s very Italian family, who are depicted as clichéd as possible but in the most accurate way of course. Trailer for Brooklyn on TrailerAddict.